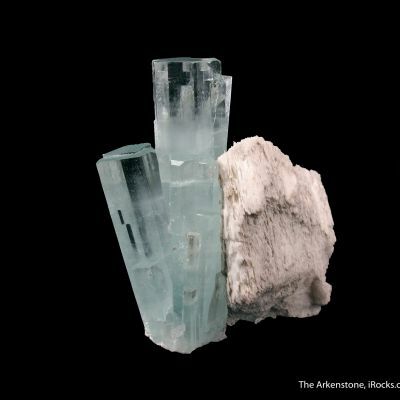 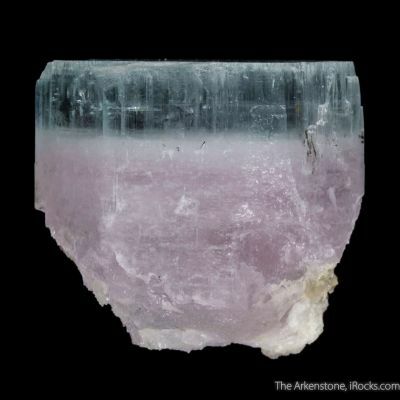 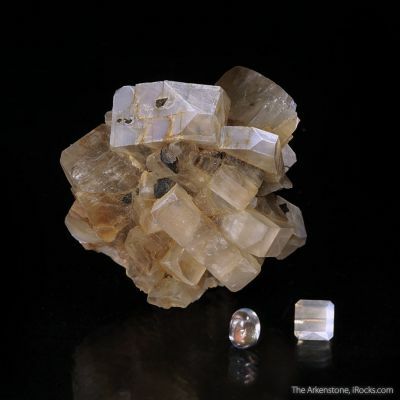 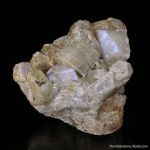 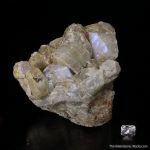 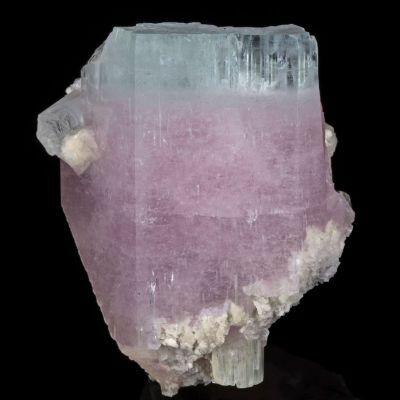 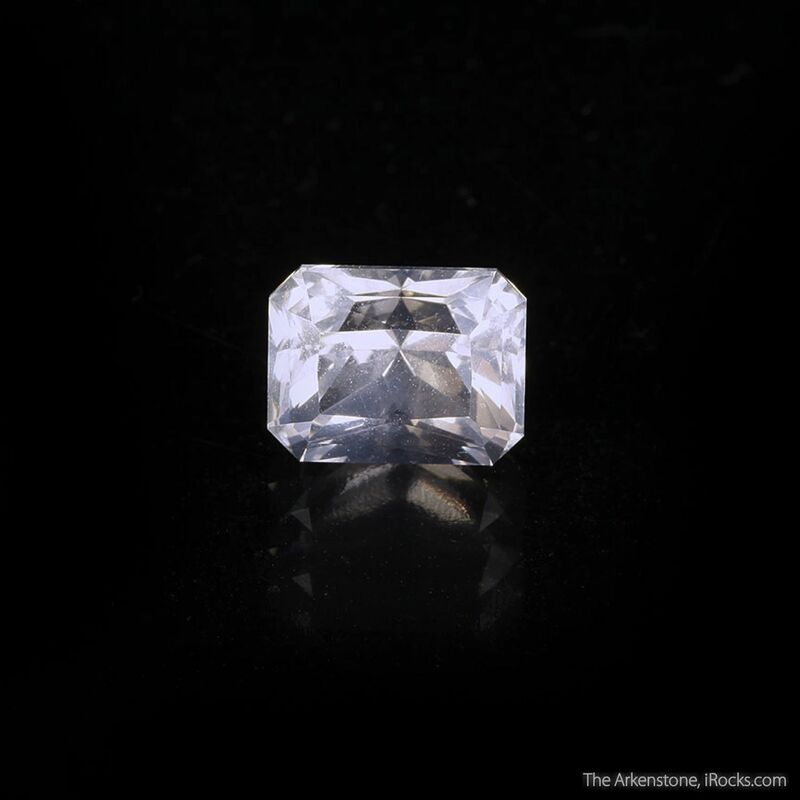 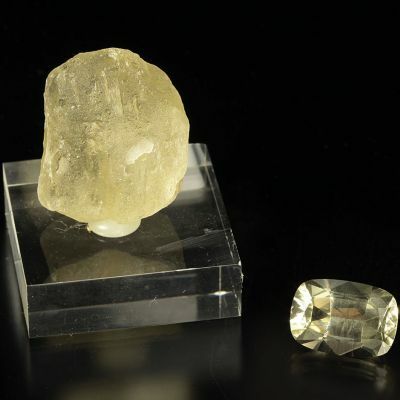 6.2 x 5.8 x 3.8 cm (Specimen); 2.51 carats; 8.61 mm x 6.62 mm (Gem) - Moonstone is soft sometimes milky stone, but the most valuable variety of this Feldspar is those with a sheen. Moonstone shows a silvery or bluish iridescence, sometimes called "adularescence". 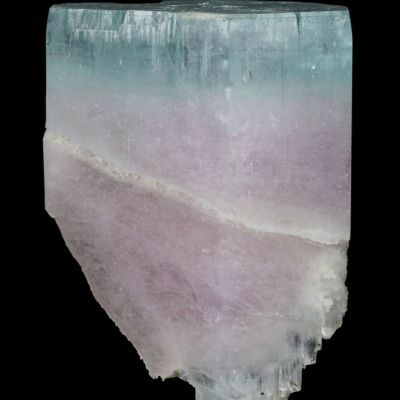 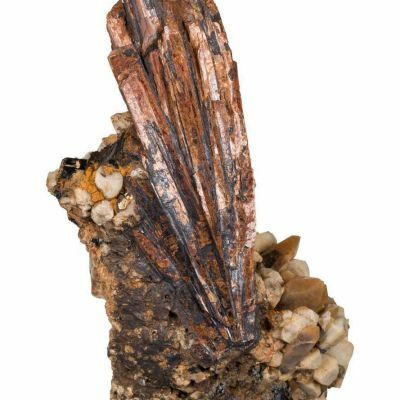 The specimen in this rough and cut set features sharp, blocky, semi-lustrous crystals from the El Pili Mine in Chihuahua, Mexico measuring up to 1.8 cm and when they're rotated in the light, you can clearly see the blue sheen. 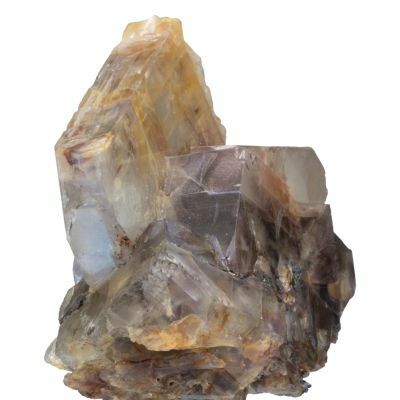 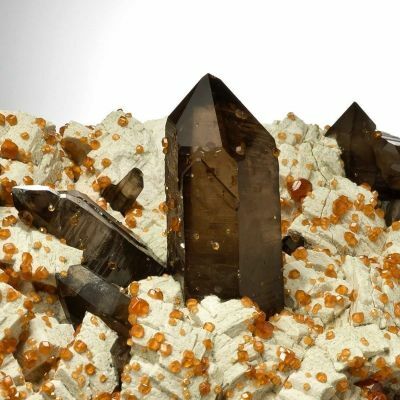 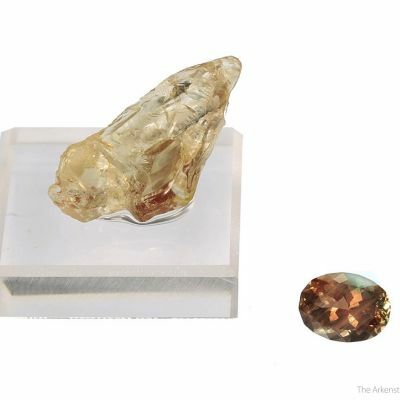 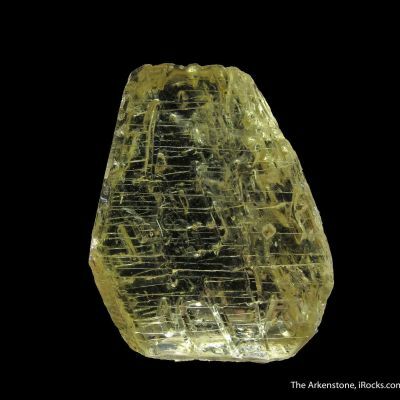 The gem is actually from India with a very soft golden interior when viewed in direct light, but if you rotate it on its side, you will see a slight bluish iridescence.